Re my post on Richard Dyer below, I have it on good authority that the Boston Globe is, in fact, looking for a full-time critic to succeed him. For a sense of what a critic can accomplish in one community over time — and I direct this particularly to bloggers who see criticism and/or journalism as obsolescent practices — consider Dyer's commentary on Lorraine Hunt Lieberson in 1985: "The violist Lorraine Hunt was a familiar figure on the Boston scene for several years before she made her professional debut as a singer last year in a concert performance of Mozart's 'Il Re pastore' at Castle Hill. She also won the Opera Company of Boston's auditions. Last summer she sang Sesto in the much-discussed Peter Sellars-Craig Smith production of Handel's 'Giulio Cesare' at the PepsiCo Festival in Purchase, N.Y. This was a great ensemble event, with star performances by such Sellars-Smith regulars as Jeffrey Gall, Susan Larson and James Maddalena. Hunt more than held her own. Already, in the first year of her career, Hunt is a powerful singing actress." There is a very long list of performers whom Dyer has written up in similarly perceptive fashion, usually at the very beginning of their careers. OK, enough critical self-reflexivity. I had an amusing e-mail exchange with Sarah Cahill, a superb pianist, whom I've known since I lived in Berkeley in 1990-91. She lived upstairs from me in a sort of enlightened boarding house on College Avenue. I would annoy the neighbors by blasting Nixon in China at all hours, not realizing that Sarah actually knew the great composer, or, as I found out this summer, that he lived a mile away. In any case, we wrote to each other about musical dreams, which may reveal something about the disparate anxieties of performers and critics. Sarah wrote: "I just woke up from a great dream about you. You had given me the score to the Schubert Fantasy in F minor for four hands, and we performed it together for a large and enthusiastic audience at a good old piano. It was so much fun! Then I announced that I was going to play a Mozart sonata by myself, and suddenly a flood of people came up apologizing that they had to go, they had dinner plans, and the hall cleared out completely. Before they left, many of them came up to you and introduced themselves a little fawningly. You said not to feel bad because concerts were at an awkward time anyway. But our Schubert duo was so polished and perfect!" Those who have heard me play the piano — a thankfully small community — will guffaw at the notion of polish and perfection on my part. The "flood of people" would have commenced, I think, a little earlier. Fawning, no. All this is a contorted prelude to a mention of Sarah Cahill's marathon musical séance in San Francisco on December 3rd. Presented by Other Minds, the day-long concert will feature spiritually, supernaturally, Theosophically, and hypnotically tinted music by Satie, Scriabin, Ornstein, Ives, Cowell, Ruth Crawford Seeger, Dane Rudhyar, Mr. Adams, Lou Harrison, Terry Riley, Alvin Curran, Kyle Gann (some of his Disklavier pieces), and many others. Anyone who has attended Sarah's past marathons will know to expect the unexpected. Let's hope Scriabin doesn't come back and start the apocalypse. I hate to fall under the dominion of the latest Evil Empire, but I'm switching to gmail. Please write to alexrossny at gmail dot com rather than the old hotmail address. As before, have patience as I make my way through the mail; I'm usually forty or fifty messages behind. The New Yorker, Dec. 5, 2005. The great Chicago Symphony recently descended on Carnegie Hall like a phalanx of proud Roman soldiers, their shields glinting in the sun. The St. Louis Symphony put me in mind of artisans in studios, fashioning beautiful things by hand. Mark Sparks, the principal flutist, gave a husky tone, almost a Japanese shakuhachi timbre, to his dreamy solos in “Afternoon of a Faun.” Jennifer Montone, the principal horn, gave an easy, sauntering rhythm to her solo in the same piece. When the orchestra unleashed its collective fortissimo, as in the first song of “Das Lied,” it did not box the ears; the music never stopped singing. The St. Louis Symphony sounds like an orchestra made happy, and it is a mighty thing to hear. John Shaw's setting of "The Song of the Aspens" was featured on All Things Considered, as part of a story on Douglas Wolk's National Solo Album Month project. Joyce Bodig, director of concerts at the Frick, has a way of uncovering talents who come to dominate concert schedules a few years down the line. Ian Bostridge's first appearance there in 1998, singing Dichterliebe with demonic intensity, was a great event. Bodig's latest discovery is Christian Immler, who, on Sunday, will sing Dichterliebe along with songs of Eisler, Ravel, Rankl, and Wolf. A brief Schumann sound sample on the Frick website is very promising. It is certain at least to be an afternoon of good hair and cheekbones. Happy Thanksgiving, all. A little while back, I wrote up Marc Minkowski's Rameau disc, promising a series of capsule reviews of other outstanding releases. I lied. I'll try to zip through the rest in telegraphic style. Links are to Barnes & Noble, which, unlike some other online stores, does not give money to morally disgusting politicians. 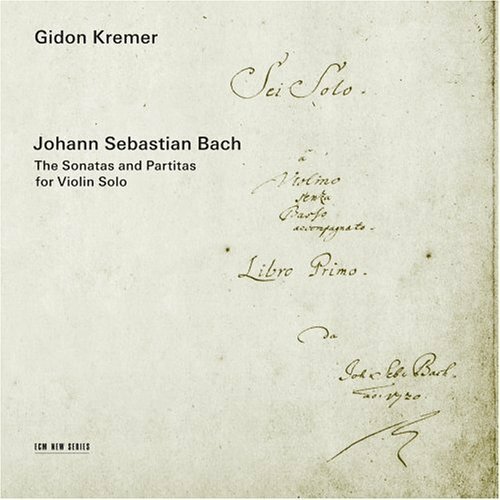 Gidon Kremer's set of the Bach Sonatas and Partitas belongs among the classic recordings this cycle has received. In the notes Kremer calls the Chaconne in D minor a "dance of life and death," and that is what he plays: earthy accents on the beat in the opening recitation of the theme, giving way to ever more ghostly, weightless, shivering sounds. The recording was made at the Pfarrkirche in Lockenhaus, home of Kremer's famous festival; you can almost smell the damp stone. (See Adam Baer for more.) Arvo Pärt's Lamentate, also on ECM, finds the master of serenity in a severe, even violent mood. I talked to Pärt around the time Lamentate was conceived, in 2002, and, if the drift of our conversation was any guide, his mind was on September 11th, which fell on his birthday. When I was at a Virgin Records last summer, this music came crashing over the loudspeakers on the pop floor, and everyone froze. Andrew Manze, the Gidon Kremer of early music, has made a hugely vibrant recording of Mozart's 1781 violin sonatas, with Richard Egarr on fortepiano. The riot of contrasting timbres right at the start of K. 376, not only between violin and fortepiano but also between the fortepiano's upper and lower registers, had me thinking for a split second that Manze had done a crazy thing and transcribed the sonatas for chamber ensemble. A rival Mozart disc by the brilliant Hilary Hahn sounds drab by comparison. (Russell has more.) Boris Berezovsky delivers a barn-burning, chicken-devouring rendition of the Chopin-Godowsky Etudes; Chopin's originals and Godowsky's impossible transcriptions unfold side by side, in a sequence of parallax views. John Eliot Gardiner's cycle of Bach cantatas, recorded live in churches across England and Europe in the year 2000, goes from strength to strength. Volume 8 travels from the seductive melancholy of "Komm, du süße Todesstunde" (Mark Padmore singing "Mein Verlangen") to the muscular joy of "Jauchzet Gott." Michael Finnissy, a composer sometimes associated with the New Complexity movement, goes his own way in Maldon and companion choral pieces; in the title piece, riotous instrumental textures and extended vocal techniques (unsettling high glissando trombones at the beginning) mix with dark slabs of ancient Anglo-Saxon chant. Throughout the album, old sounds (folksongs, ballads, chorales, chant) intersect with modern ones, in fabulously eerie and transfixing ways. Hats off to the half-century-old Kyle Gann for brightening the planet with his Studies for Disklavier. I first encountered these pieces at the Sounds Like Now festival last year; some ("Texarkana," "Despotic Waltz") draw Chaplinesque comedy from the hyperkinetic action of the computerized piano, while others summon clouds of Ivesian mystery ("Unquiet Night") or simply make you happy ("Bud Ran Back Out"). Perhaps one day Berezovsky will try to play them live. Finally, Gimell's reissue of classic Tallis Scholars recordings of Iberian Requiems — works of Victoria, Lôbo, and Cardoso — has lately spent more time in my Denon than anything else. The Overgrown Path concurs, saying that if you buy one CD this year it should be this. 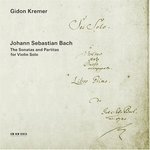 I can't argue too strongly with that, although right now Gidon's Bach is at the top of my forthcoming best-of list. Leo Carey sends a link to the Cylinder Preservation and Digitization Project at the University of California at Santa Barbara. Five thousand early cylinder recordings are available for live-streaming, podcast, or downloadable delivery. I'm listening to the Early Black Artists podcast and Edward M. Favor's rendition of Irving Berlin's "Sadie Salome, Go Home." 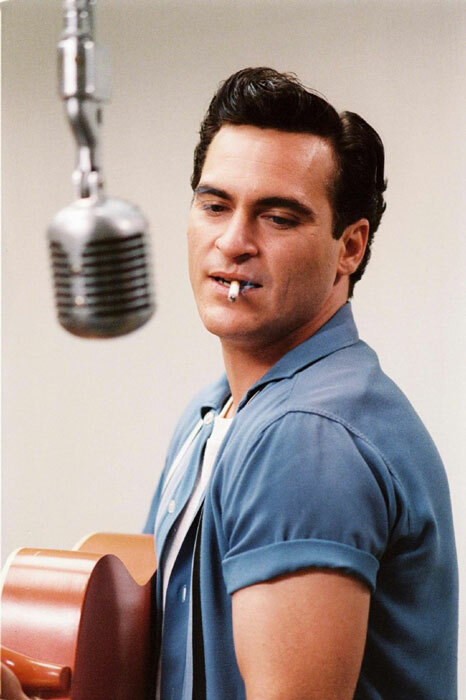 I saw Walk the Line, James Mangold's languidly powerful telling of the tale of Johnny Cash. It's less of a rote biopic than expected; Cash and June Carter's long courtship gives the movie a solid narrative arc, tiding us over the usual drunken-dad, escape-from-home, unhappy-wife, and bottoming-out elements. Joaquin Phoenix's lead performance is the best movie portrait of a musician since, well, Jamie Foxx's turn as Ray Charles last year. How the erstwhile Leaf got his voice so close to Cash's in timbre and heft is hard to know; it's kind of devilish. There's a good moment early on when Cash, stationed with the Army in Germany, is writing "Folsom Prison Blues." He starts out pitching his voice high, presumably in imitation of crooners on the radio. His voice flickers toward the lower register for a second, but he suppresses the impulse. He keeps working on the song, and, eventually, lets his voice slide all the way down the octave, into the black canyon of Cashitude (I think it happens on "hang my head and cry"). This gave me chills, as abrupt changes of register in music often do. Compare the moment in Schubert's B-flat Sonata when the main theme floats up an octave, into a luminous upper region that's just as heartbreaking in the end — it's blue sky out the prison window. Anyhow, the movie's great. I've received some good leads on the question of what female blues singer Milhaud might have seen in January or February of 1922, despite the fact that I got the venue wrong: it wasn't the Capitol Theatre but the Capitol Palace, the after-hours place where Duke Ellington first heard Willie the Lion. According to Bill Egan, Mamie Smith is a possibility; so too is Lucille Hegamin. To my ears, Smith is a better fit for Milhaud's description than the more mellifluous Hegamin. Both women can be heard at the amazing Red Hot Jazz site. Bill Egan has a wonderful site devoted to Florence Mills, whom I recently mentioned in connection with William Grant Still's Levee Land. Update: It's been pointed out to me that the date in Milhaud's memoir is wrong, and that he was actually here in January and February of 1923. Oh, this slippery Milhaud! Yet more: According to passenger-liner announcements in the New York Times, M. arrived on the Rochambeau on January 3 and departed on the same vessel on Feb. 15. 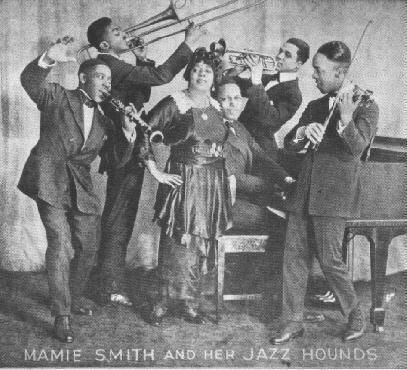 Mamie Smith was still in town as of Jan. 9, recording "You've Got To See Mama Every Night (Or You Can't See Mama At All)." As Bill Egan informs me, she went to San Francisco later that month. The scholar-pianist Peter Hill and the musicologist Nigel Simeone have written the book on Messiaen. With the help of Yvonne Loriod, the composer's widow, they had unlimited access to the great man's manuscripts, diaries, letters, and files. Their labor of love is now out from Yale University Press, and it's a splendid achievement, something that every committed fan of Messiaen's music will want to own. Messiaen's life was not the stuff of drama, though it did have some dramatic incidents. Hill and Simeone seldom stray too far from the diaries and datebooks that form the core of their narrative, but they offer fascinating glimpses into Messiaen's inner life, which was never as naive or narrow as his public image as a "devout composer" let on. Much here has never been told, including the story of the tragic mental decline of Messiaen's first wife, Claire Delbos. The man himself emerges a richer, more complex presence — sometimes pedantic, sometimes fantastical, often charmingly ordinary in his habits. (There he is in 1980, at the height of his world fame, playing bits of the Messiah with the chorus at the Trinité.) The book also includes much testimony from people who knew Messiaen well, Hill included. I was especially struck by the testimony of Alexander Goehr, who describes the tense atmosphere in Messiaen's class at the Paris Conservatory amid the stylistic battles of the nineteen fifties. Goehr reports: "Face to face with his sometimes obstreperous students and opinionated hangers-on, he was even reduced to tears. We sat in silence for long periods, especially after an aggressive attempt by one of us to argue with him. Here were we, before one of the most perfect musicians of our times, combative and argumentative, in tense, unbroken silence. And he would say, 'Gentlemen, let us not argue like this. We are all in a profound night, and I don't know where I am going; I'm as lost as you.'" But he got out. Some addenda to my column on Giacinto Scelsi, out in the New Yorker this week. First, a couple of people have asked for a pronunciation guide. It's ja-CHEEN-to SHELLsi (almost like the hotel, or the boys). Second, Tony Tommasini reminds me that the personnel of the Flux Quartet has been in flux since they performed Morton Feldman's epic String Quartet (II) in 1999. Tom Chiu remains first violinist; the others in 1999 were violinist Cornelius Dufallo, violist-composer Kenji Bunch, and cellist Darrett Adkins. Profuse apologies, gentlemen. Dufallo and Bunch, by the way, will be performing George Crumb's Black Angels this Saturday at Issue Project Room in Brooklyn, next to the great Gowanus canal. Finally, I wish to lament the fact that some of the best Scelsi recordings have dropped out of circulation. Mode's five superb Scelsi discs are readily available, including the orchestral volume with Konx-Om-Pax. You can also get a Kairos disc with Anahit. But Jürg Wyttenbach's pioneering Accord recordings are out of print, as is the Arditti Quartet cycle of the quartets (most recently on Naïve). I hope these return to the catalogue soon. Scelsi was an original but not solitary figure. Many composers of the late twentieth century have made slow-moving soundscapes their milieu, perhaps in reaction to the sheer fidgetiness of so much early and mid-twentieth-century composition. Some composers have been directly affected by the Count's example (idea for a mashup: Count Basie plus Count Scelsi); others have simply worked along similar lines. Minimalism is one obvious analogue, having its origins in La Monte Young's "long tones." The question of whether Ligeti influenced Scelsi isn't quite resolved; obviously, the great Transylvanian's Atmosphères and Lontano inhabit a not dissimilar world. 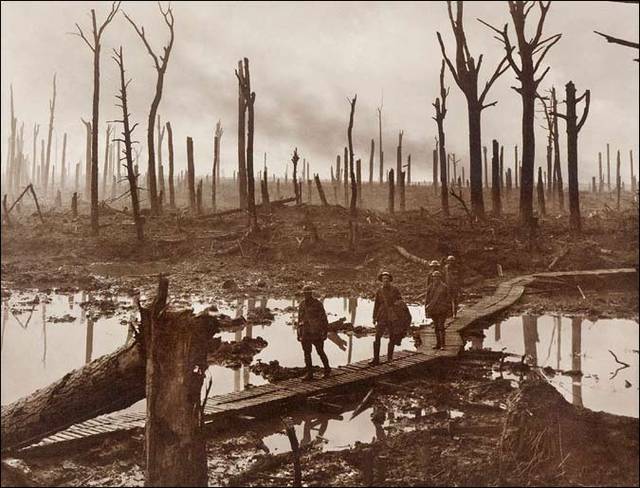 The Paris spectralists — Gérard Grisey, Tristan Murail, Hughes Dufour — had exchanges with Scelsi. The late, great Claude Vivier was a kindred spirit; so is Pascal Dusapin, who's turned into one of the most significant European opera composers (his neo-Futurist opera Perelà, on Naïve, is a fabulously strange voyage). Julian Anderson knows his Scelsi; Alvin Curran worked closely with the Count in his later years. (I've been meaning for a while to sing the praises of Curran's monumental piano cycle Inner Cities. Daan Vandewalle's staggering performance on a Long Distance recording is now available in the US.) The list goes on: Joshua Penman is one young composer with Scelsic tendencies. 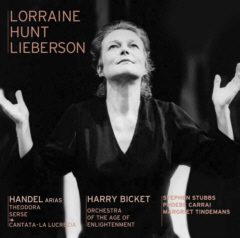 Go to NewMusicBox for an interview with Curran that contains some lovely anecdotes: "Scelsi ... came to all my concerts in Rome even right up to the very last one I gave just a few days before he died.... This was in the summer time, and he was such a nut about being outdoors. He was there in a fur coat and a fur hat. It was an outdoor concert. He waved from a distance, beautiful sparking eyes and smile that he always had, and that's the last time I saw him." Would anyone know what African-American female singers might have been performing at the Capitol Theatre in Harlem in January or February of 1922? I'm looking for the singer whom Darius Milhaud describes in his autobiography ("a Negress whose grating voice seemed to come from the depths of the ages"). Ethel Waters was out on tour in this period. I have a feeling it was Mamie Smith. Respond to alexrossny chez gmail. The New Yorker, Nov. 21, 2005. 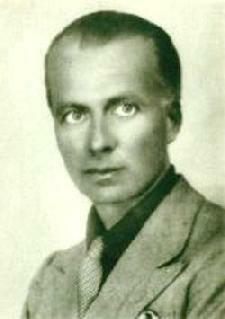 Scelsi was born into an old southern Italian noble family, inheriting the title Count d’Ayala Valva from his mother. He was, of course, the end of the line. At the family castle, he was schooled in “fencing, chess, and Latin,” or so he said. He flitted through European aristocratic circles and had his wedding party at Buckingham Palace. But music was his chief obsession. He quickly tilted toward the avant-garde, and when he was very young he attended Luigi Russolo’s Futurist noise concerts; his first major work was called “Printing Presses.” Later, he became interested in Schoenberg’s twelve-tone method, although he did not adopt it. He fell in love with Eastern philosophy and made trips to India and Nepal. After the Second World War, he suffered a breakdown and stopped composing for a few years. He spent day after day playing a single note on the piano. The casual observer might have thought that he had gone mad. He was, in fact, finding his path. The chanting of Tibetan monks generally consists of deviations around a central tone, with bells and brass creating an ambient halo. Scelsi enacted similar rituals on the piano, then moved to the ondiola, an electronic keyboard whose dials allowed him to vary pitch and tone quality. He wasn’t sure how to write it all down, and employed a fellow-composer, Vieri Tosatti, to devise suitable notation. After Scelsi’s death, Tosatti published an article with the incendiary title “Giacinto Scelsi C’Est Moi,” asserting not only that he was the true author of the music but that it was all rubbish. Controversy ensued, and some high-minded European types dismissed Scelsi as a fraud. Robin Freeman, in an essay in the magazine Tempo, suggested the opposite: that Scelsi was able to make his imaginative leaps precisely because he was not bound by academic training. It’s something for university composition departments to ponder. Connoisseurs of extreme chamber music may remember that in 1999 the Flux Quartet gave the world première of the complete version of Morton Feldman’s six-hour-long Second Quartet. Scelsi’s quartets, relatively brief in span, don’t pose the same challenge of endurance, but they are taxing nevertheless, taking a toll on the bowing arm and on the emotions. Every note counts, each new one more than the last. During the performance at Miller Theatre, I sometimes wished for greater tonal purity, especially in the Fourth Quartet: the chords were hard to hear amid the haze of special effects. But I doubt that any other ensemble could have played with equal ferocity and passion. Scelsi demands imaginative collaborators, and the members of Flux — Tom Chiu and Conrad Harris, violinists; Max Mandel, violist; and Dave Eggar, cellist— did nothing by rote. The Fifth, transcribed in 1984, was Scelsi’s last work—at least that we know of. Scientific researchers have recently observed a musical event that employs a curiously familiar style: a black hole in the Perseus cluster of galaxies is emitting a B-flat fifty-seven octaves below middle C.
For the book, I'm revisiting an old favorite, a recording of the Ravel Trio by the Kalichstein-Laredo-Robinson trio. It's on an Arabesque two-CD set that also includes the Sonata for Violin and Cello, the Violin Sonata, and the Sonate posthume. 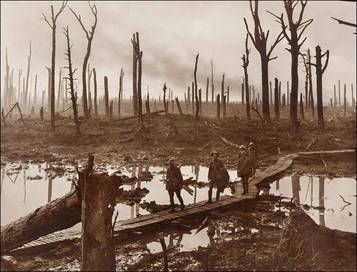 I can never get over the image of Ravel driving a truck behind the front lines at the Battle of Verdun, shells falling to his left and his right, music such as this playing in his brain. Here's something new from the Pittsburgh Symphony: a group blog, along the lines of The Huffington Post, where musicians, staffers, composers (Jennifer Higdon), long-time patrons, students, and teachers look at the institution from all sides. A lot of this material may be of interest mainly to those who attend the concerts in question, but I've found it fascinating to browse around. Some of the commentary is frank, not just press-release stuff. Here's horn-player Bob Lauver on conductor Vladimir Jurowski: "Wouldn't surprise me to see him be at the top of the conductor world some day. It makes me nervous initially to see such a young person in front of us on a subscription concert. The orchestra has great expectations at all times from our leadership, and it can be a struggle to pull off a great performance with an inexperienced conductor. This guy had the goods, no doubt about it. I'm eager to see him again with more big repertoire. That being said, I'm sure that there are completely different views of the guy, his rehearsal technique was very pedantic. That runs the risk of turning people off, but in his case the performances kept a continuity to them. Some conductors that stop and go over stuff as much as Jurowski did end up with a performance that feels sight-read, like it's the first time through the piece as a whole (which it is, actually). Jurowski's confidence was solidifying, and he got good results, I think." Lloyd Brown, 104, fought in World War I, which ended 87 years ago today. Musical tie-in: at 11 A.M. on Nov. 11, 1918, Stravinsky finished scoring Ragtime for 11 instruments. I wondered below about the meaning of the Sibelius chart on Serhan Bali's Turkish-only blog. 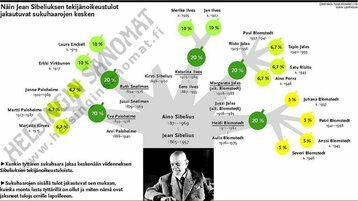 Another Turkish reader wrote in to explain: it shows percentages of royalties awarded to the heirs of Sibelius, who raked in 1.5 million euros over the past year. There's even a Sibelius wine. The chart comes courtesy of Helsingin Sanomat. Regular readers of this blog will know that I studiously avoid any uninformed prattling on political issues, and, moreover, that I firmly believe that the government of the United States is in the hands of the greatest convocation of moral geniuses that God has seen fit to bestow on humanity since the time of James Buchanan, if not since the creation of the universe six thousand years ago. Nonetheless, it's always amusing to entertain other views. Free Speech Productions is a collaboration among three gifted composers — Judd Greenstein, David T. Little, and Missy Mazzoli — who are eager to bring a new political charge to a generally apolitical new-music scene. Their fall tour, bringing together the groups Newspeak and NOW Ensemble, kicks off tomorrow night at the Knitting Factory, and continues at Galapagos in Brooklyn on Nov. 11, New Haven on Nov. 12, and Cambridge, MA on Nov. 13. The program at Knitting Factory includes John Halle's Apology to Younger Americans and Black Sabbath's "War Pigs," as well as works by the co-founders. What a pity all these people are going to hell. Cheney will see to it.